Since I started this blog, I’ve learnt to be open to trying new things and exploring food places. I’ve also learnt to accept that one’s preference towards a type of food differs from the other. When I brought a group of international media for a food trip recently, the Singaporean media commented they weren’t used to our bak kut teh. Fair point. Because they grew up eating the clear bak kut teh and we Malaysians are more accustomed to the dark, herbal version. rif and I stumbled upon the Singapore Food Trail at the Singapore Flyer when we took a walk from Marina Bay Sands to the flyer. 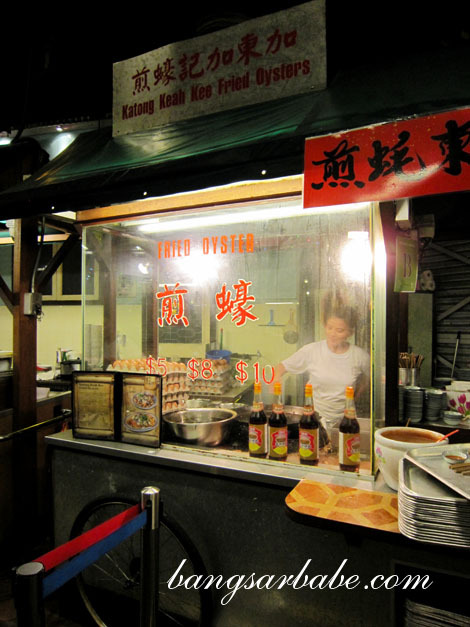 Like Hutong Lot 10, the Singapore Food Trail houses many of Singapore’s popular hawkers under one roof. I liked the set up of the place. 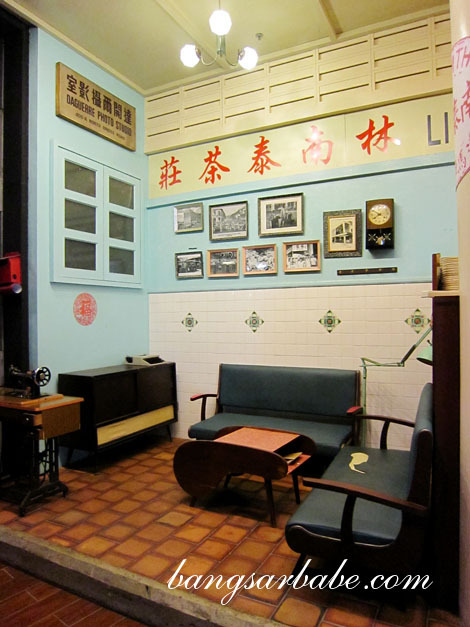 It had a vintage look and feel, and the place is well lit and spacious. We shared a plate of Hokkien Noodles (S$5) and Oh Chien (S$8), and found both to be quite decent. 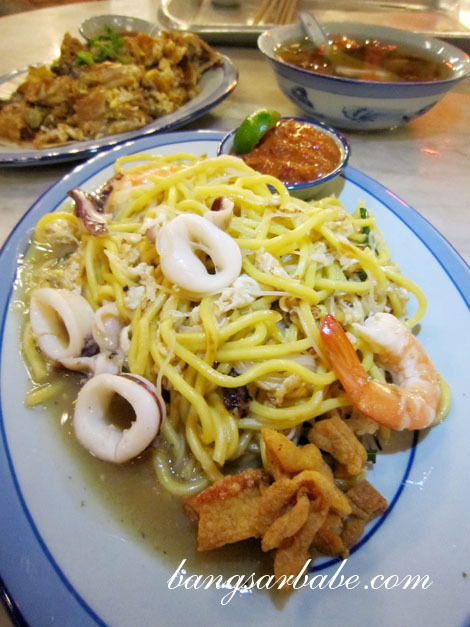 The noodles were cooked just right, and flavourful from the seafood and light gravy. There was a good dose of wok hei and the chilli packed a punch. Some people insist Malaysian Hokkien Mee is better, but I think these two dishes are very different and shouldn’t be compared. 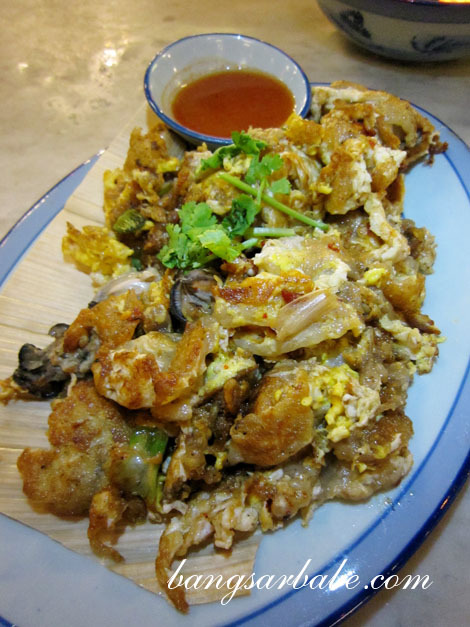 The Oh Chien from Katong Keah Kee was crisp around the edges with a moist centre. I liked that the oysters were plump and juicy, so they “popped in my mouth”. 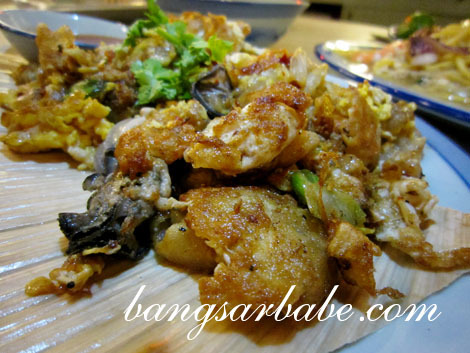 It was less oily compared to the Penang version and not as wet as Malacca’s Oh Chien. Portioning is good and prices are reasonable, if you don’t convert. I wouldn’t mind coming here again, because it is convenient and the MRT can only take you so far. 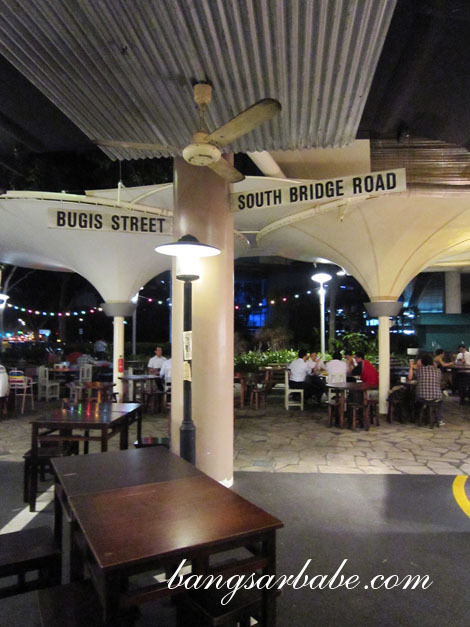 Verdict: Popular Singapore hawker food under one roof. Very convenient. True enough, we become accustomed to the taste we grew up with. Like for Hokkien and Teochew style BKT, though for me it’s definitely the former. 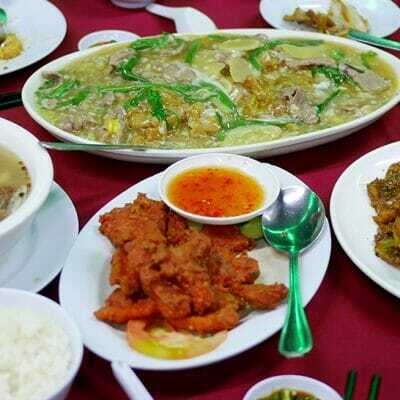 Singapore’s fried Hokkien mee and Hainan chicken rice can be really good if you know where to search for the good ones, though I cannot say the same for some other famous hawker fares. 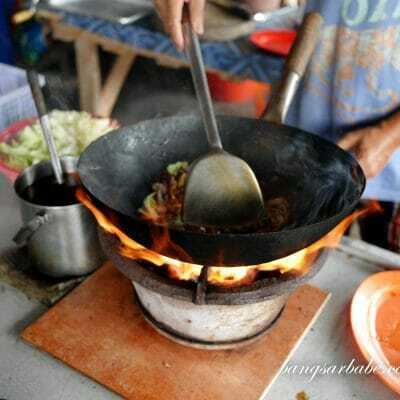 Would do anything for a Hokkien mee now!